Santa Rosa taxpayers have funded an extra $21 million to gang prevention since Measure O was approved. So why aren't accurate gang-related crime statistics being produced? Measure O, the 20-year quarter-cent sales tax increase that was approved by voters in 2004, has had its share of critics. At a time when city centers, swimming pools and senior services have been threatened with closure due to budget cuts, Measure O's surplus is available only to fire, police and gang prevention, barring a near unanimous 6-out-of-7 vote from the Santa Rosa City Council. While other departments at city hall have suffered salary cuts and layoffs, Measure O largely protects public safety from shared sacrifice. 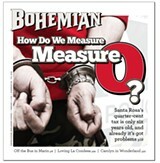 But five years after full implementation, one of the more distressing aspects of Measure O is in evaluating its success. Written into the text of Measure O [see .pdf] is a citizen oversight committee, which monitors expenditures and appropriations of tax revenues and "additional duties as the [City] Council may designate." Those duties do not yet include hard statistical measurements for the results of the Mayor's Gang Prevention Task Force, but they may soon. In phone calls, emails and in-person meetings for this article, numerous members of the police department and the task force repeatedly said that its gang-related crime statistics should not be trusted to be accurate in comparing year-to-year gang crime in Santa Rosa. Measure O allocates 40 percent of raised taxes to fire services, 40 percent to increased police enforcement and 20 percent to programs of the Santa Rosa Mayor's Gang Prevention Task Force. But inaccurate data collection and reporting methods make objective evaluation of gang intervention, prevention and enforcement success nearly impossible, leaving some to wonder whether voters' 20-year $100 million investment is being spent on results—and more importantly, if vulnerable kids are being served effectively. City officials indicate that the most important measures of success are the way the community "feels" and the reports of success by service providers and those served by the task force's programs. How do we determine if we are getting our money's worth? Nobody can seem to explain it in concrete terms usually associated with huge expenditures of public money. Ellen Bailey, the Gang Prevention Services manager for the city of Santa Rosa, who retired at the end of December, says that the "self-reported satisfaction of the kids being served is one of the most important measures of success for the task force." In a recent in-person interview in his office, Santa Rosa Police Chief Tom Schwedhelm explained how the police department compensates for confusing and alarming data. "When we were going through the budget cut process, we lost the ability to capture the data. We are trying to reinstitute it and fine-tune it, so you will see some striking numbers. "Holy smokes!" he said, "Has violence increased that much? If you were just to look at the numbers, you might feel that way." Consequently, the task force is now gauging success in ways that are more difficult to quantify. According to Schwedhelm, "We talk to the officers in the streets, we talk to the community partners [and ask,] 'How are you feeling?' because everyone is impacted by the crime. And they are feeling that we are trending in a positive direction." Happy kids and positive feelings in the community are great, but what happened to the vote for accountability promised by these officials who sold us Measure O? According to the "Strategic Work Plan 2008–2012" published by the task force [see .pdf, p26-27], the SRPD was charged with "establishing a baseline for measuring success" and to "develop a standard statistical reporting format for the Mayor's Gang-Prevention Task Force and community decision makers to quickly and easily understand and interpret gang-related criminal data and trends." According to official crime-analysis data obtained from the Santa Rosa Police Department in October 2011, some gang-related crimes in Santa Rosa are up by as much as 1,400 percent since 2006, with the total number of gang-related crimes up by 253 percent and an alarming 371 percent increase for gang crimes in public schools. However, during a five-year review at a Dec. 13 city council meeting [see video], a different set of data from the California Attorney General's Office was provided by the SRPD and the task force, indicating that juvenile violent crime in Santa Rosa was down by 32 percent during that period. Councilmember Gary Wysocky asked Sgt. Ray Navarro of the SRPD why the statistics that he presented to the council were only for juvenile offenses, "which would not necessarily be indicative of gang-related crimes." Navarro replied that he really didn't have an answer to that. "I do not have the statistical information regarding gang-related juvenile arrests at this time," he said. Both nationwide and on a city level, overall violent crime is reportedly down. The most recent nationwide FBI data indicates that violent crime totals are 13.2 percent below 2006 levels. For the city of Santa Rosa, the SRPD's 2010 annual report [see .pdf] indicates that "violent crime is down 14 percent over the past five years." But city and police officials, in quantifying gang-related crime trends, routinely reference various combinations of these statistics—national violent crime data, local violent crime data and juvenile crime data from the state of California—none of which represent gang-related crime in Santa Rosa. Crime analyst Conan Mullen of the SRPD provided 16 pages of statistical reports for this article, and stated, "I do not recommend comparing year-to-year gang crime in Santa Rosa at this time, even though the attached reports are formatted to do so. Annual comparisons should only be considered accurate from year 2011 onward." How are we supposed to make sense of these discrepancies? How do we move forward to the next five-year plan without reliable statistics? The text of Measure O promised increases in police and fire services, but more significantly, voters opted for the measure as a way to achieve city officials' demand for measurable reduction in escalating gang violence. Statistical increases in violent gang crime pre-2004, presumably, created such a demand. The political backers of the measure, city officials and police and fire unions enlisted political consultant firm TBWB Strategies to promote the measure. According to TBWB's website, "Polling did not show that voters supported public safety enough to pass a ballot measure in November 2002." Santa Rosa residents' highest priority, according to polls, was traffic, but TBWB ultimately convinced "uninformed citizens" that "they absolutely needed to address public-safety-funding issues first" by passing Measure O. The task force now employs a consulting agency called Community Crime Prevention Associates (CCPA), which evaluates the task force by using something called the "SR CHOICE Performance Logic Model Evaluation System [which] is based on the principles and practices of Continuous Quality Improvement." What does that mean, especially in terms of measuring success? The task force's strategic plan attempts to explain, but presents only two actual statistics for "customer satisfaction" from these very complicated, theoretical logic models. This "logic model" is so convoluted and vague that the task force pays CCPA to decipher it on an ongoing basis. At the Dec. 13 city council meeting, members of the task force policy team updated the Santa Rosa City Council about the progress made during the first five-year plan. The policy team includes members from a wide range of public agencies and public-interest groups, including Social Advocates for Youth and Santa Rosa City Schools. This update included worthwhile praise and commendation for good work, and plenty of talk about how people on the task force feel positively about the work they are doing. Santa Rosa mayor Ernesto Olivares, a retired SRPD lieutenant and former manager of the task force, summed up the presentation to the city council: "It's tough work, it's necessary work, and I think we're beginning to show some positive results in a positive direction. . . . This could have been a much longer presentation with all the data that they've gathered over time, but in the interest of time, I thought it was good to just give a brief overview of what is going on and allow you to ask questions." In addition to his questions for Sgt. Navarro about juvenile crime rates versus gang-related crime rates, Councilman Wysocky questioned Sonoma County deputy chief probation officer Sheralynn Freitas on why the five-year report included no figures for recidivism rates among the population served by the task force. She responded that "as far as the Mayor's Gang Prevention Task Force—people responding, prevention—they aren't entering into any sort of database, so there is some limitation." Wysocky continued by asking Lynn Garric from the Sonoma County Office of Education why there was no trending data included in the report from the California Healthy Kids Survey and the custom "gang module," which the city of Santa Rosa paid to develop and to have included in the survey. Garric replied that they currently only have three years of data, and that they have had trouble with scoring the tests and are just starting to examine the data now. Official SRPD documents now carry this warning: "The accuracy of this report's annual gang crime data has been impacted by numerous changes to SRPD's gang crime identification and reporting methodology between years 2006 and 2010. Any conclusions based on this data should be made with CAUTION." A new marketing campaign for the Mayor’s Gang Prevention Task Force features lots of feel-good images with community leaders. In his office interview, Chief Schwedhelm and Gang Prevention Services manager Ellen Bailey were asked how they are dealing with changes in data collection methodology by the SRPD. Bailey responded, saying, "Actually, we use data provided by Peter Ellis, who is with Community Crime Prevention Associates, the evaluator for all our programs. He looks at the state data or gets the information from the state. All of the information from the police department goes through this process with the FBI. "Right?" Bailey asked, turning to the police chief. Schwedhelm confirmed that the task force uses the FBI's Uniform Crime Reports data. Bailey continued, "And that is the data we use to look at trends." Chief Schwedhelm, Bailey and Bailey's boss at Recreation, Parks and Community Services Marc Richardson all agreed in the interview that the task force is currently using data from the FBI's annual Uniform Crime Reports [see .pdf]. They agreed, too, that the statistics do not directly address gang-related activities, and that the statistics are not applicable to gang crime at a local level, since they only examine statewide and national trending of violent and property crime. None of the three were able to explain how FBI data describes effectiveness at the local level, since all agreed that Uniform Crime Reports data do not include any measurement of "gang related" offenses. A request to crime analyst Mullen for policies that indicate the methodology the SRPD has used in the past, and which indicate the changes to methodology resulting in such substantial surges in recent gang crime statistics, was answered with, "There are no such official policies for reporting methodology." Chief Schwedhelm promised in an interview to provide the current reporting methodology SRPD uses. Three months after his interview for this article, and after repeated reminders, there is no such methodology to report. Santa Rosa City Council members each appoint a representative to the Measure O oversight committee, which reviews the financial expenditures of the Measure O funding stream, the codified 40-40-20 split and the ways in which funds disperse to agencies. 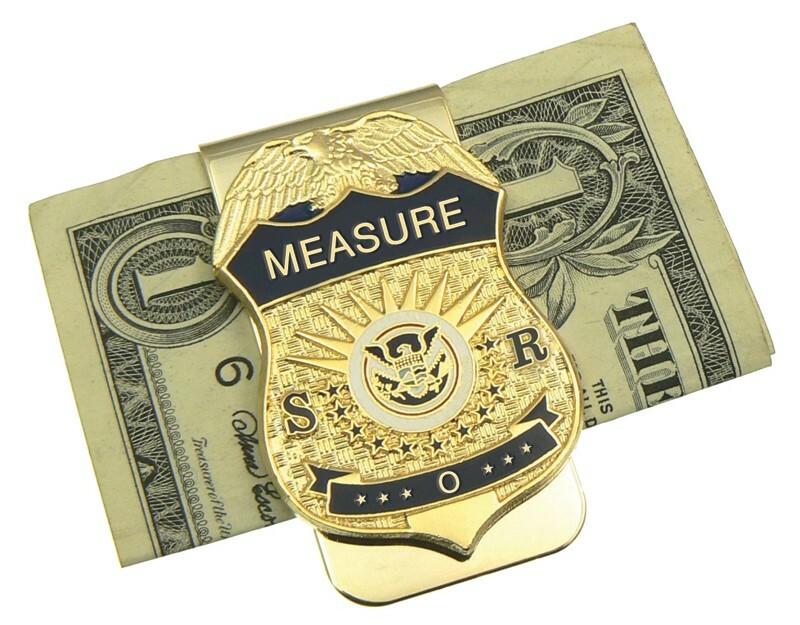 The design of the committee strictly prevents Measure O funds from supplanting existing general fund resources devoted to public safety, but according to its members, the committee deals only with tracking money already spent and have no oversight of the effectiveness of the programs for which the money is spent. Councilmember Gary Wysocky's oversight appointee is Santa Rosa attorney Erin Carlstrom, a 2012 candidate for the Santa Rosa City Council. Carlstrom says she is very interested in understanding how the task force gauges its own effectiveness, since her own involvement with the oversight committee allows for no such evaluation. Councilmember Marsha Vas Dupre's appointee is student-rights advocate Michaele Morales says that "the committee is fiscal only, no say about programs or anything, just overseeing that the funding is 40 percent police, 40 percent fire and 20 percent supposed gang prevention." Morales also adds that "the supposed gang prevention part is given to friends, not any new innovative programs. The people picked to serve are not really community-member stakeholders." When asked what she knew of the task force's measurement of their effectiveness, she said, "They do a year's glossy, shining self-serving report saying that 80 percent or more of families and youth served are happy with services received. The report is very convoluted and vague." A look inside the SRPD's recently updated 2010 policy manual includes no updates or methodology for officers to use in including crimes in "gang-related" statistics. The Mayor's Gang Prevention Task Force undoubtedly has good intentions, and many young people benefit by the programs it supports. But the $21 million spent so far for the task force and the SRPD is a huge sum of taxpayer money to receive in exchange for unreliable measurements of effectiveness, especially at a time when every other city department is sacrificing budgets, salary and personnel to make ends meet. Absent any reliable statistics, or methodology for reporting such statistics, what measures of accountability are in place? The Santa Rosa Mayor's Gang Prevention Task Force policy team and operational team hold a special joint meeting on Wednesday, Feb. 8, in the Cypress Room at the Finley Community Center. 2060 W. College Ave., Santa Rosa. 7:15am–9am. The meeting is open to the public. Robert Edmonds has actively worked on and written about police accountability issues in Sonoma County for over ten years.